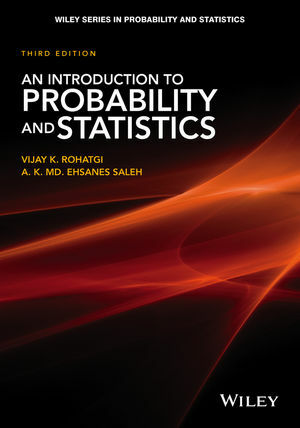 Featuring a comprehensive update, An Introduction to Probability and Statistics, Third Edition remains a solid overview to probability theory and mathematical statistics. Divided into three parts, the Third Edition begins by presenting the fundamentals and foundations of probability. The second part addresses statistical inference, and the remaining chapters focus on special topics. Rohatgi, Vijay K., & Saleh, A.K.Md.E. (2015). An Introduction to Probability and Statistics. Wiley Series in Probability and Statistics. Wiley.